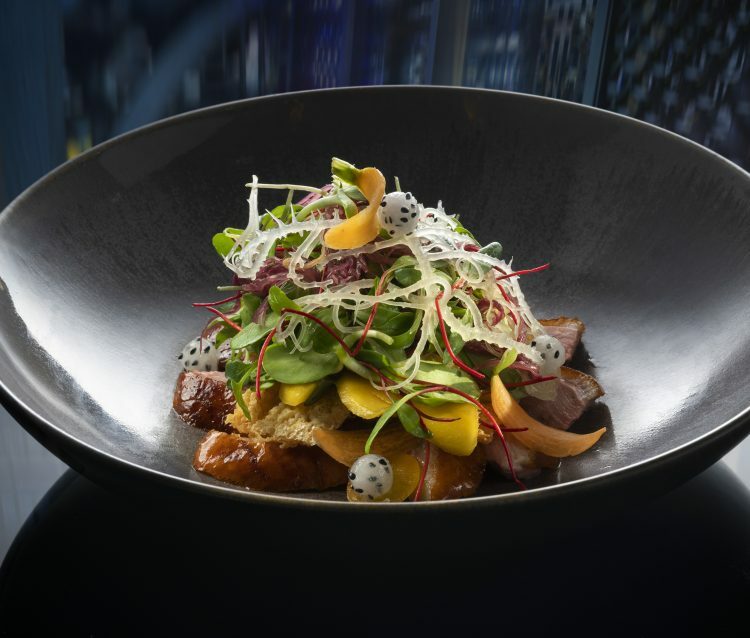 In the heart of central London only a stones throw away from Tottenham courts station, the tranquil Fitsrovia is home to the globally renowned Michelin star, Cantonese style restaurant Hakkasan. Claret red backdrops complimented with low it fires, truly hold the key the quintessential dining experience succeeding all expectation. To start opt for the dim sum duo, seafood sesame jian dui and shacha chicken puff. Create the perfect start to your night, a superb light flavoursome delicacy, the perfect way to line your palate, there is no better way to set up your entre. For the main course try the Wok- Fry lobster with spinach and lily bulb, an impressive dish, a tender mouthwatering lobster complemented with perfectly seasoned spinach. The second dish was the Crispy sucking pig with sticky rice, an astounding dish a combination of crispy skin and perfectly cooked pork, causes a euphoria of flavour in your mouth. As well as these two fabulous dishes for sides opt for the egg fried rice and the shittake mushrooms two incredible sides to enhance the flavour of the main courses. To commence your evening feast on the wealth pot, which is hazelnut, mandarin and dark chocolate dessert. A delightful dish that’s full of flavour a perfect combination of sweet hazelnut and mandarin and a more bitter dark chocolate. 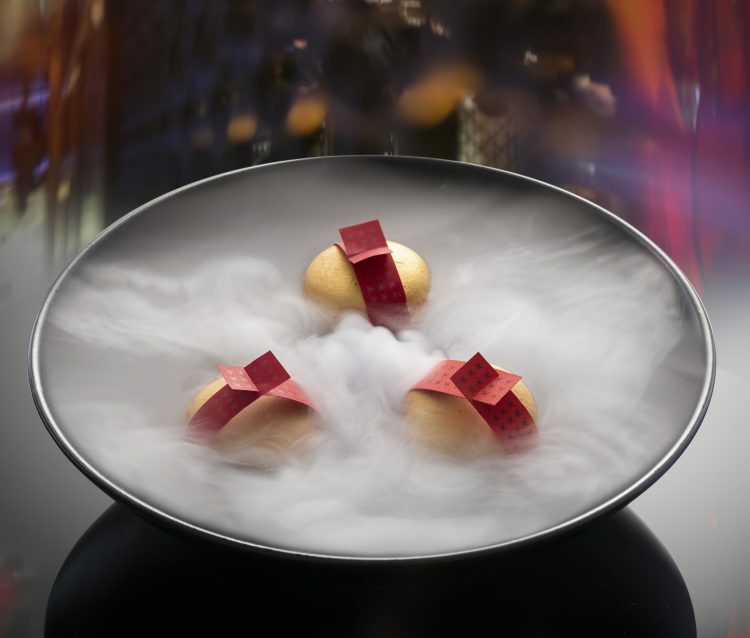 The second dessert that you must choose are the signaure fortune macaroons, a traditional flawless dish that depicts the heavenly Chinese New Year theme of the restaurant. Each macaron features a pretty ribbon placed with one of William Selfs musings inscribed on it. Far from a traditional fortune, each macaron features a witty and satirical musing, an ode to modern London. 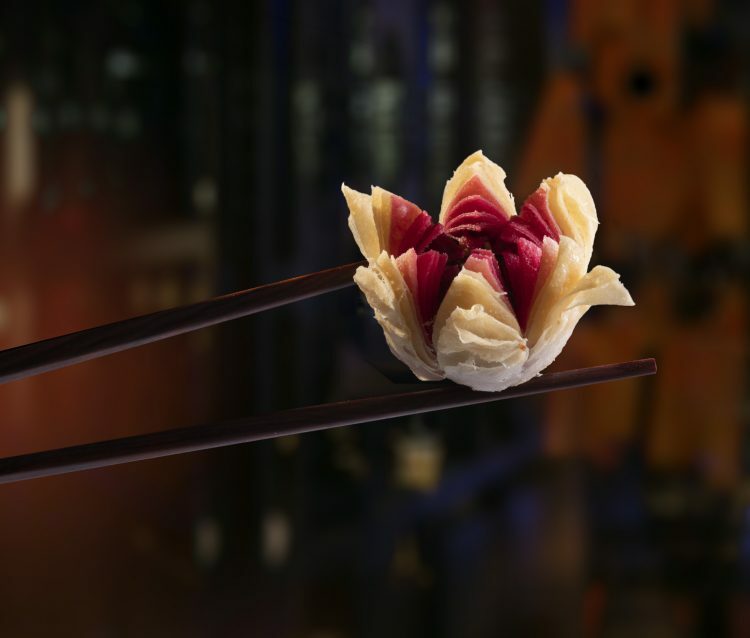 There is nowhere better to celebrate Chinese New Year in style than at Hakkasan Hanway or Mayfair. This menu runs until 24th February, trust us you don’t want to miss it.